Amazon Web Services (AWS) remains the leader in Infrastructure-as-a-Service (IaaS) adoption among enterprise IT buyers, with Microsoft, VMware and Rackspace increasing competition across the industry. According to the latest 451 Research Vendor Window, AWS is used by the majority of enterprise IaaS customers in the study (57 per cent) and is also cited as the most important IaaS provider by 35 per cent of these current IaaS customers. Additionally, AWS received some of the highest ratings overall for its ability to fulfill customer needs, particularly in terms of Experience and Technical Innovation. Microsoft Azure however has been adopted by 42 per cent of enterprises surveyed and is listed most often as the vendor that enterprises will likely evaluate for their next IaaS supplier. Overall, Microsoft Azure is cited as the most important IaaS provider by 20 per cent of IaaS customers. However, current users of Microsoft Azure rate it lower than other vendors on the metrics of Experience and Support for Open-Source Software. Meanwhile, Rackspace is on par with AWS for its ability to fulfill customer IaaS needs and is the highest-rated IaaS provider for Guaranteed SLAs, consistent with Rackspace’s new managed Cloud positioning. "While the 2015 Vendor Window for IaaS shows Amazon Web Services as the clear leader based on multiple metrics, Microsoft Azure, Rackspace and VMware’s vCloud Air are becoming competitive challengers," says Michelle Bailey, Senior Vice President, Digital Infrastructure and Data Strategy. On-premises private Cloud continues to be a major investment for IT organisations, and is often the default cloud environment for many enterprises. Cloud suppliers offering SaaS, IaaS and Hosted Private Cloud solutions are increasingly competing and cooperating with on-premises private Cloud environments. Not surprisingly, the 451 Research Vendor Window for On-Premises Private Cloud indicates that VMware dominates with its ESX and vCloud offerings, with adoption by 70 percent of surveyed enterprises. Additionally VMware and its partner solution, Cisco UCS, received the highest ratings in terms of Promise and Fulfillment, particularly on the attributes of Company Brand and Platform Reliability. "While VMware's market dominance continues, and they have excellent ratings from existing customers, the survey results indicate that over 70 percent of VMware customers have also deployed an alternative cloud platform such as OpenStack, CloudStack or Microsoft Cloud OS," says Dr. Scott Ottaway, Vice President of Cloud Services and Data Research. "As open-source-based solutions continue to receive investment from major hardware and software vendors such as HP, IBM, Red Hat and Citrix, VMware’s dominance is under pressure, especially for mobile and cloud-native applications." 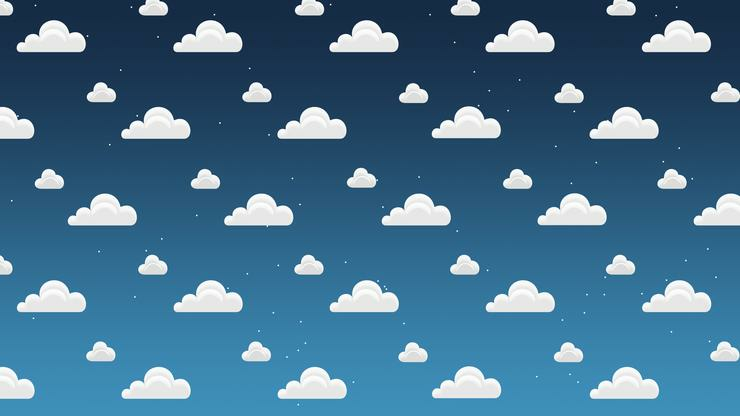 Furthermore, hosted Private Cloud is now adopted by 34 percent of organisations, but it is a highly fragmented market; cloud providers with less than 3 per cent market share account for 52 per cent of all currently used vendors. Rackspace is the number-one vendor in this market with 20 per cent market share, consistent with 451 Research’s Market Monitor Cloud Computing revenue tracking of major cloud service providers. Verizon, CenturyLink, AT&T and VMware vCloud Air are also frequently mentioned providers by existing enterprise customers of hosted private cloud offerings. In addition, mission-critical applications are more likely to be deployed on a hosted private Cloud than on a multi-tenant IaaS platform, suggesting a long-term growth opportunity for hosted private Cloud offerings as mainstream buyers prioritise security, customisation and performance over low cost. Finally, about 30 per cent of organisations expect to increase IT spend in the next 90 days, and the majority of organisations expect to increase spend with their existing Cloud platform providers, suggesting continued Cloud investment and substantial opportunity for growth for all the named vendors in this space.